Consumers often complain bitterly about the slow pace at which banks and other mortgage lenders process applications for mortgage modifications. But there are two sides to the story, as millions of homeowners are learning. The simple truth is that there are so many mortgages in default that it would lenders years – many years – to process all the foreclosures that are in the pipeline, as The New York Times reported today. In New York State, lenders will need 62 years to repossess the 213,000 homes that are now in severe default or foreclosure, longer than any other state. New Jersey's backlog is 49 years while Florida, Massachusetts and Illinois are at least a decade behind, the paper quoted LPS Applied Analytics as estimating. The pace is faster in states like California and Nevada, where courts are not involved in foreclosures. But even there, the pace is plodding. California banks will need three years while Nevada and Colorado lenders will need two to work their way though the foreclosures now in the pipeline – and that's not counting new defaults that become evident each day. So at least for homeowners in states with huge backlogs, it's not likely the sheriff will show up at the door tomorrow. You would think that banks would be in a hurry to get their hands on property that's not producing income but with the real estate market in a slump and the costs of processing foreclosures climbing, many lenders seem content – or perhaps resigned – to proceeding at a plodding pace. Aggravating the slowdown is pressure on lenders to eliminate so-called “robo” documents – affidavits and other legal documents signed by flunkies who falsely swear and affirm that they have personally examined the loan documents at issue. When the robo scandal broke last fall, the Office of the Comptroller of the Currency (OCC), which regulates larger banks, and other regulators drew themselves up into a pose of righteous indignation and gave the banks 60 days to draw up a plan to ensure they were in compliance with the various rules and regulations. Of course, nothing happens in 60 days. Deadlines came and went and the banks recently got yet another month's extension. 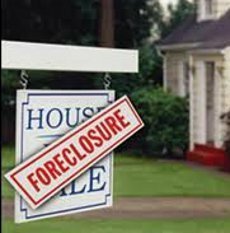 Meanwhile, new foreclosure cases are down by about a third nationally since last fall, LPS has estimated. Whether this is because more homeowners are now on time with their payments or simply because the banks are taking longer to initiate foreclosure proceedings isn't clear.